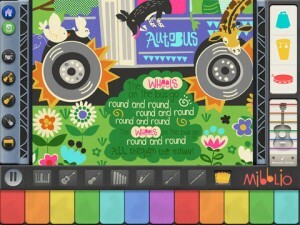 Mibblio turns music, stories, and your iPad into an interactive party! Every parent has seen the standard storybook app and as awesome as they are, we never want to see our children get bored with reading. Developers ‘Mibblio’ have released a brand new storybook app by the same name, that eradicates even the smallest chance of boredom. When it comes to educational resources, there is simply no place for being bored! The ‘Mibblio’ app takes regular stories and morphs them into gorgeously illustrated ‘story-songs’ that not only inspire children to read fun stories, but also allows them to dance to a catchy tune and even jam out on fully interactive instruments on screen! The folks at Mibblio call these story-songs, ‘Mibblets’. How cute! Some of Mibblio’s Mibblets are songs and stories that adults and children alike will readily recognize. They include titles such as “The Wheels on the Bus”, “Old Mac Donald”, and “On top of Spaghetti” to name a few. There are also several songs and stories that are entirely original to the app. These include “Wibblesmacks!”, “Millie and Her Curling, Whirling Hair”, and the extremely popular “Mashed Potato Monster Gang”. While interacting with different Mibblet story-songs, children will be given the opportunity to play along with the songs by using interactive on-screen instruments. Keyboards, percussion instruments, and a strum pad make up the touch-enabled ensemble. Kids will be able to learn the unique sounds of each instrument and how they sound together by using the muting and soloing features. Most importantly, children will be able to experience creative and exciting stories through music. Some of them are old favorites and some will quickly become new favorites. Either way, your kids will be learning and engaging. Everyone wins! 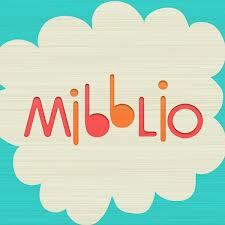 The Mibblio app is available for download via the Apple iTunes App store button below. It is available for iPad only and it requires iOS 5.1 or higher to operate.